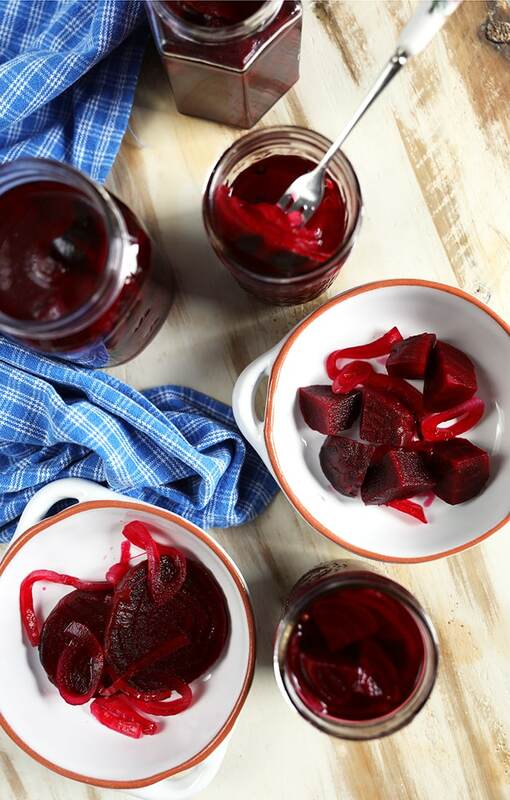 Quick and Easy Pickled Beets made with simple pantry ingredients are a necessary staple in every kitchen. 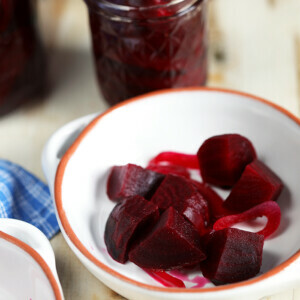 Load up your salads or enjoy as a snack, this pickled beets recipe yields sweet, tangy beets in less than 1 hour. Everyone I know is a big fan of pickles, but have you ever had Pickled Beets? 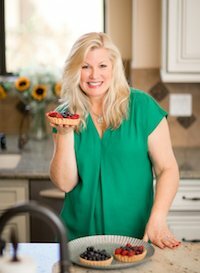 They’re a surprising flavor bomb for so many recipes….sweet, tangy and a little earthy I like to add these beets to just about everything like salads, top a burger, make an epic grilled cheese. The possibilities are limitless. 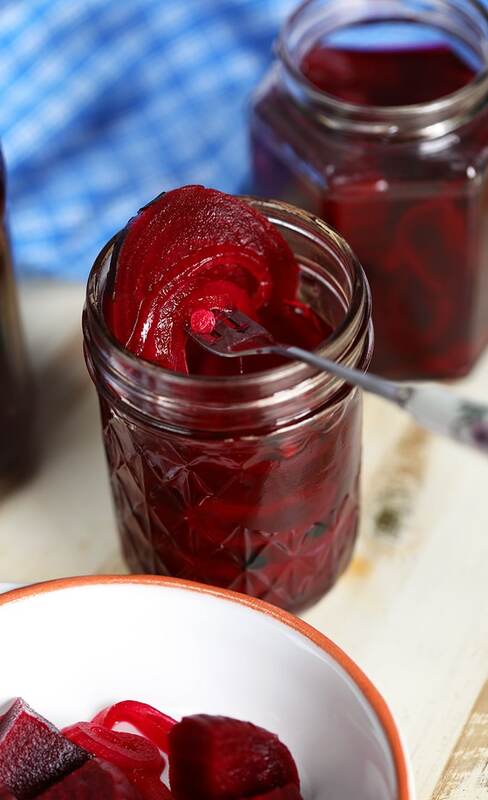 And what’s even better is my method for making these easy Pickled Beets is quick and simple. Unlike other pickling recipes, this is a quick pickle method that ensures maximum flavor in as little time as possible. 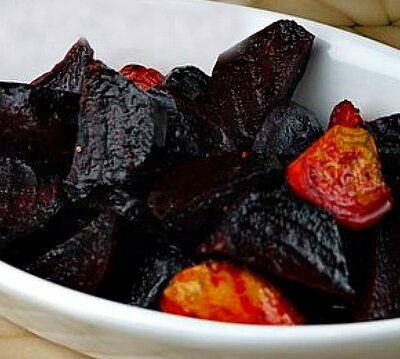 I like to start with pre-roasted beets but if you have raw beets, it’s really no trouble to roast them on your own. To roast your beets, just arrange them on a baking sheet and coat with olive oil. Roast them in the oven at 425 degrees for 30-40 minutes or until fork tender. Allow to rest until cool enough to handle and then peel the skin off with your fingers or a vegetable peeler. At this point you can either slice your roasted beets into rounds or, sometimes, I like to cut them into cubes. Either shape will work when pickling so you can pick what will work best for you. 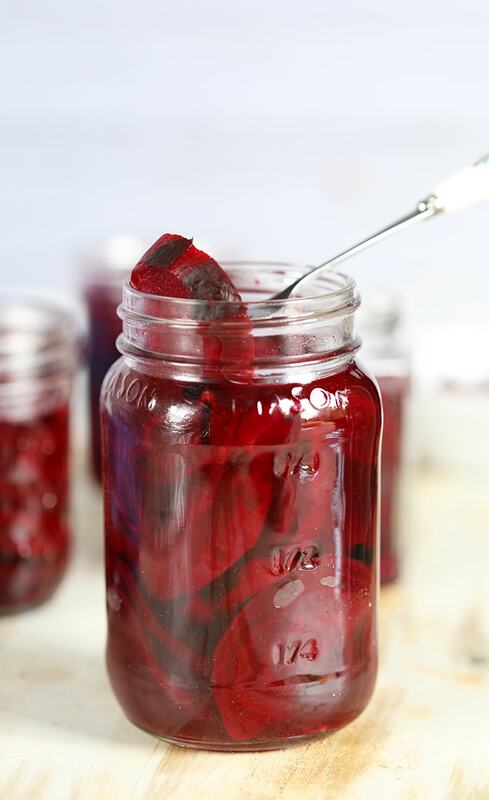 To pickle your roasted beets, simply bring vinegar, water, sugar and a few spices to a boil. I like to throw in a cinnamon stick for a bit of spicy fall flair. You can skip it if you’d like but even if you’re not a cinnamon fan, you won’t even notice it’s there. Stir in sliced onions and allow the mixture to simmer for 5 minutes. Divide your beets into a few jars, I like to keep it small and pickle my beets in 8 ounce jars. Fill the jars to about 1/2 inch from the top with the beets being sure to not pack them down. You want room for the pickling liquid to settle around the roasted beets. Pour the pickling brine, onions and spices into the jars covering the beets completely. Allow the brine to cool to room temperature before sealing with the lids. That’s it! Your quick pickled beets will be ready in under an hour. I’ve found that even just 15 minutes after pouring the pickle brine over the beets they’re ready to go. The key is to make sure your brine is hot when it goes into the jars. I like to use these beets to make my FAVORITE Pickled Red Beet Eggs recipe. 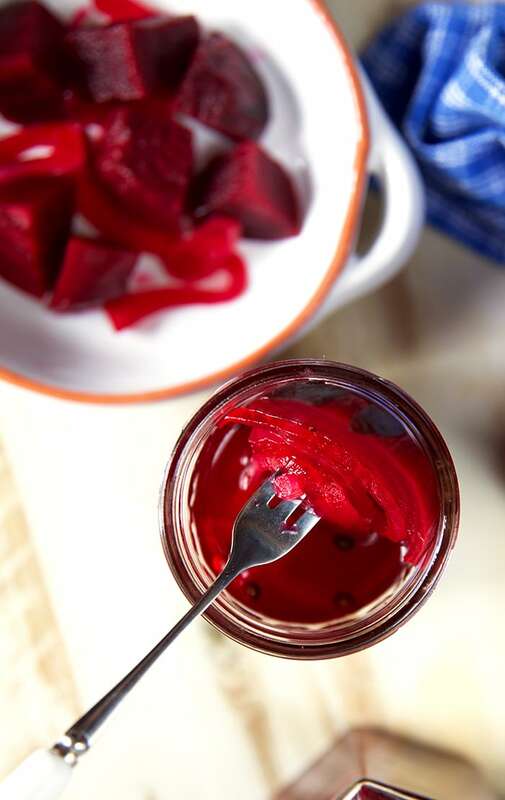 It’s so easy when you start with the pickled beets and brine method outlined here. 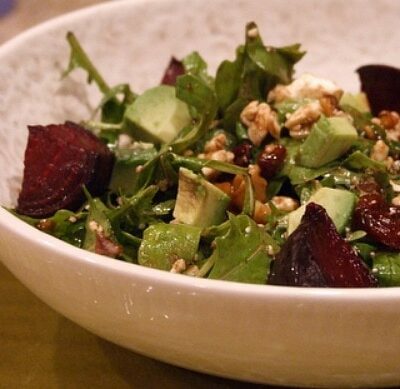 But you can also make them with just roasted beets following the recipe for the eggs. Now you’re ready to add a flavor explosion to so many more recipes. 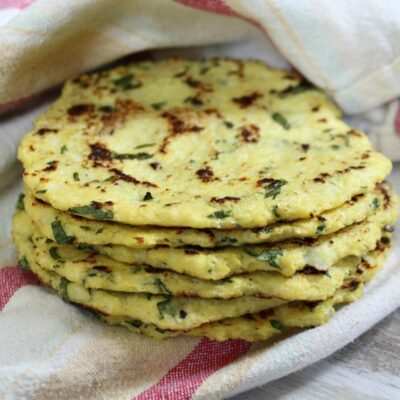 Quick, simple and totally easy! 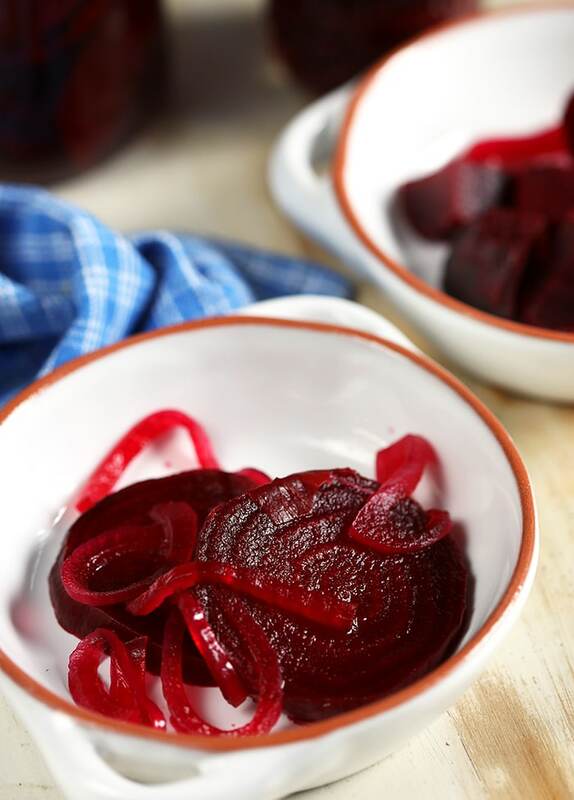 Quick and easy Pickled Beets are the ultimate addition to almost any recipe. In a medium saucepan, bring the vinegar, water, sugar, peppercorns, coriander seed and cinnamon stick to a boil. Turn the heat to low and stir in the onion. Simmer for 5 minutes. Divide the beets among 8 ounce canning jars filling until about 1 inch from the top of the jar. Do not pack the beets in tightly. Pour the pickling brine and onions into the jars covering the beets. 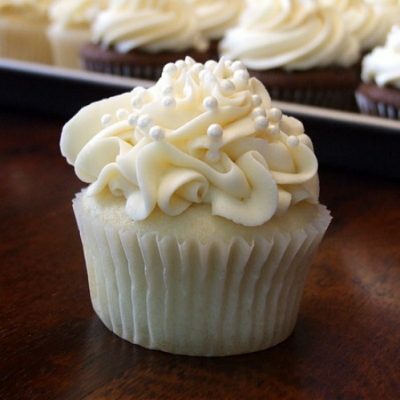 Allow the mixture to cool to room temperature, approximately 20 to 30 minutes. Seal the jars with the lids and store in the refrigerator for up to 5 days. How to Roast Beets: Arrange them on a baking sheet, and coat with olive oil. Roast them in the oven at 425 degrees for 30 to 40 minutes, or until fork tender. Allow to rest until cool enough to handle and then peel the skin off with your fingers or a vegetable peeler. The sweet and sour go so well here. 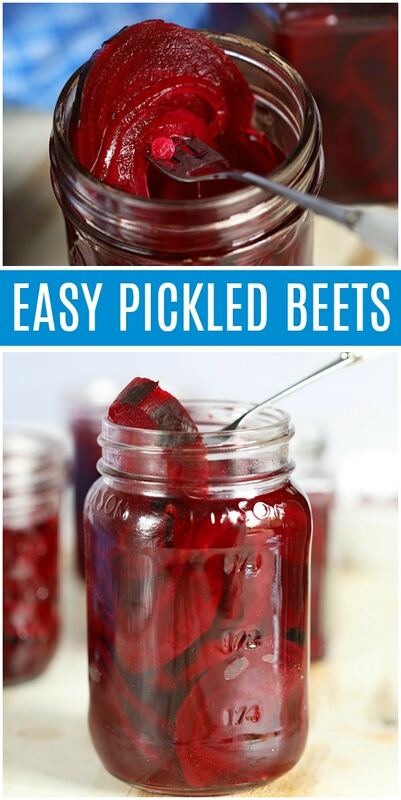 Great way to make beets! So easy and I love the vibrant color! 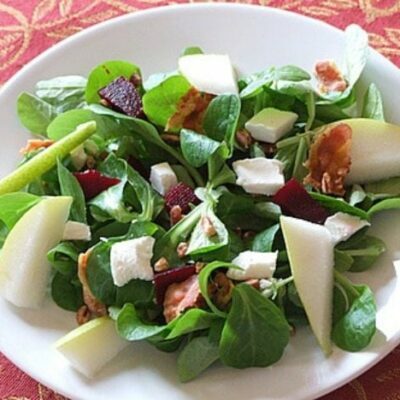 I love adding these to salads–just the right amount of zing.